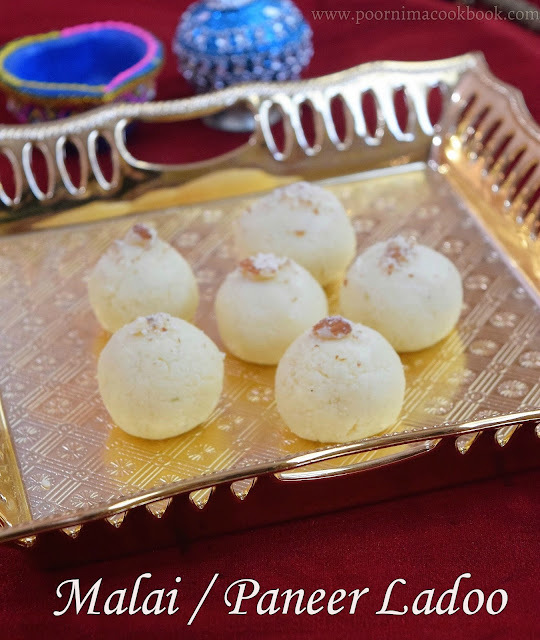 If you are fighting with time for last minute diwali preparations, here is not only a quick and easy sweet but also tasty sweet recipe for you to cherish the occasion! Thaw / Defrost paneer and grind it into powder using mixer / grinder. Transfer powdered paneer into a bowl and mash it nicely. Heat a non stick pan, transfer the paneer mixture, condensed milk and cardamom powder into that. Keep stirring continuously over medium flame until the mixture starts to leave the pan and become a thick mass; switch off the gas. Pour the mixture into a bowl and allow to cool. 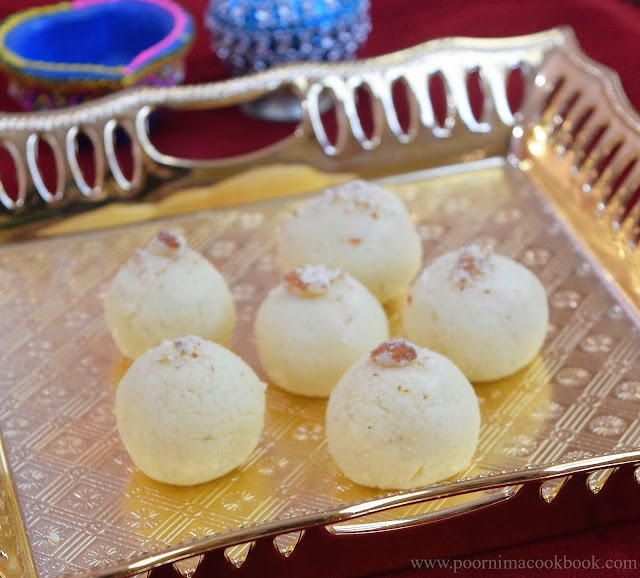 Grease your palm with ghee and make medium sized balls; and garnish with sliced / powdered almonds. Instead of cardamom powder; you can also use saffron. You can also use home made fresh paneer. When this mixture is cooled, it tends to get thick. This ladoo stays good for 4 to 5 days, in fridge. Bring it too room temperature before you serve. saber se soubesse de qualquer fóruns de discussão que cobrem os mesmos temas falou sobre neste artigo ? experientes pessoas que partilham o mesmo interesse. Se você tiver qualquer sugestões, por favor me avise.